The Minister of State for Chemicals and Fertilizers Shri Hansraj Gangaram Ahir has said in written replies in Lok Sabha today that Domestic Natural Gas is not available as per the requirement of the domestic fertilizer/industry. However, the gap between the requirement and domestic production of various fertilizers units is met through imported Natural Gas. The Government has taken several steps to improve the availability of gas which inter-alia include revision in the price of domestic natural gas, intensification of domestic exploration & production activities through New Exploration Licensing Policy (NELP) rounds, development of shale gas policy framework, research and development of gas hydrate resources in the country, import of Liquefied Natural Gas (LNG), exploring possibility of transnational gas pipelines, clearance for exploration and development of some NELP blocks, exploration in the Mining Lease Area with certain conditions and acquisition of overseas oil and gas assets. The additional availability of domestic natural gas shall be allocated keeping in view the demand and the prevailing Gas Utilization policy of the government. Moreover, to ensure the supply of domestic gas to the existing fertilizer units, Department of Fertilizers takes up the matter with Ministry of Petroleum & Natural Gas on regular basis. Due to limited supply of domestic gas, the proponents of new fertilizers units have been directed to tie up gas supply with gas supplying agencies as per their commercial interests. Revamp of Ammonia-Urea project at Zuarinagar. Brownfield Expansion urea project at Jagdishpur. Brownfield of Ammonia-Urea units at Gadepan-Kota. Brownfield Ammonia-Urea project at Bharuch. Greenfield Ammonia-Urea project at Dahej. MATIX Fertilizers & Chemicals ltd.
Brownfiled Ammonia-Urea Fertilizers Complex at Panagarh. Brownfield Ammonia-Urea Expansion project at Thal. Brownfield Ammonia-urea project at Udyogamandal, Kochin. Brownfield Project at Panki, Kanpur. Bharat Coal Chemicals Ltd .
Coal Gasification based Ammonia and urea project, Paradip. Brownfield Project at Kakinada, Andhra Pradesh. Brownfield Project at Hazira, Gujarat. 16.52 lakh MT Urea & 2.48 lakh MT Ammonia. Production started in the year 2006. 5.5 lakh MT phosphoric acid. 4.8 lakh MT Phosphoric acid. The commercial production is expected to start by end of December, 2014. 4.25 lakh MT phosphoric acid. Not yet operationalized. 3.60 lakh MT of Phosphoric acid. Commercial production has started. There has been substantial saving on foreign exchange through these JV projects. The total foreign exchange saving in the last 10 years by importing Urea from OMIFCO, a JV between Oman Oil Co. & IFFCO/KRIBHCO is around Rs.14, 700=00 Crores. 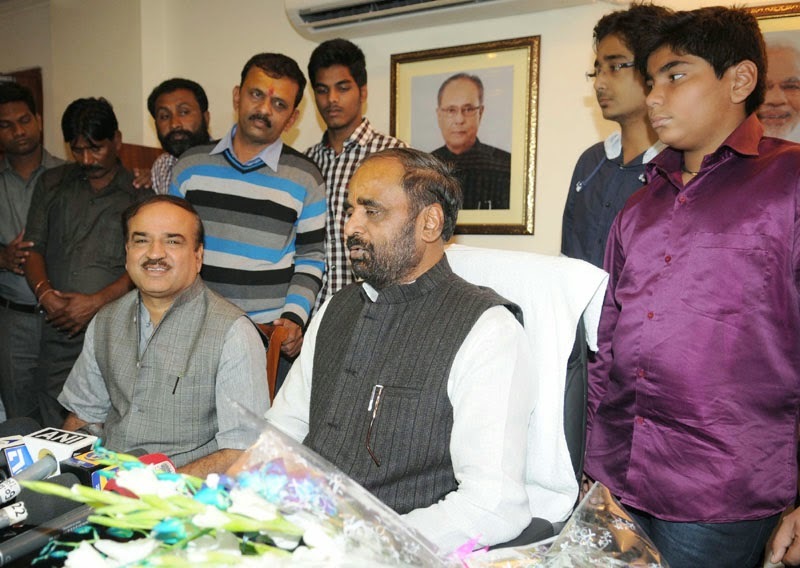 These long-term agreements by fertilizer companies will ensure assured supply of fertilizers/raw materials in the country and price preference as per the agreements to the companies, Shri Ahir added.